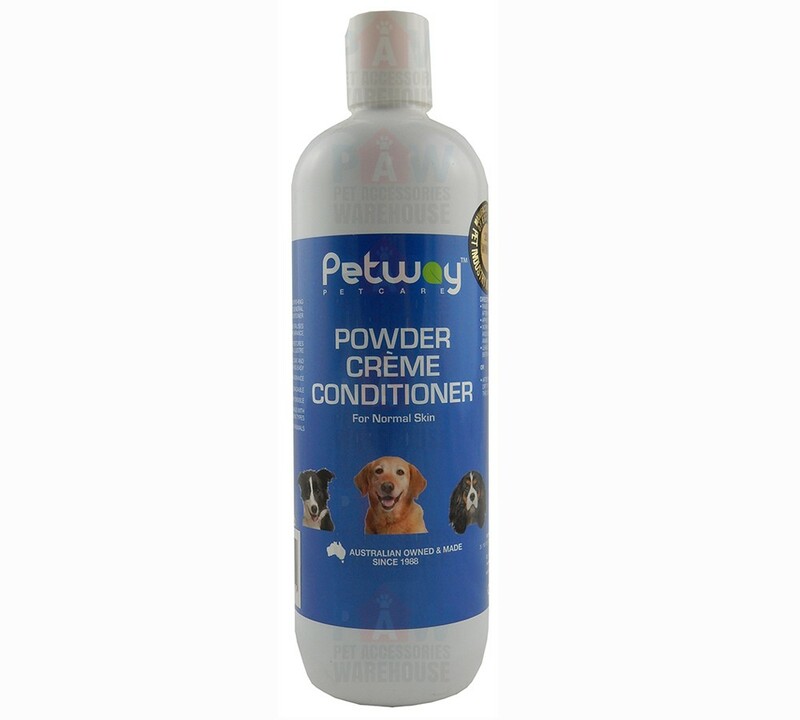 Petway Petcare Powder Creme Conditioner is a revitalizing and nourishing naturally based, general purpose cosmetic conditioner for normal skin types, that adds shine and restores the coats natural lustre, while invigorating the skin. It will soften the coat and make brushing easy. Easily rinsed out or can be blown out through the coat with dryer. Leaves a soft baby powder fragrance that matches the popular Petway Petcare Wicked White Whitening & Stain Removal Shampoo and the Powder Cologne Coat Gloss.